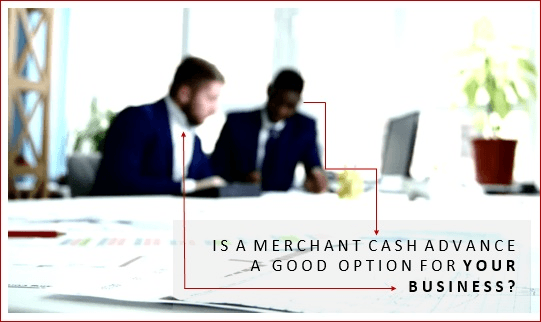 Is a Merchant Cash Advance a Good Option for Your Business? Are you growing? Do you plan to? Funding companies want to work with you, not against you. Reviewing your future receivables, upcoming contracts, or expansion plans are important to their underwriting process. Your payback plan will reflect these components, so it is important to discuss them with your broker and funder. Obtaining an advance for an emergency or quick fix can be a good idea, if you will not be burdened by a poorly designed repayment plan. If your ability to repay your debt obligations could be jeopardized by even a small financial tremor, it might not be a good idea to commit to an advance at this time. Are you waiting for a large outstanding receivable or multiple new receivables? An advance may work perfectly to satisfy your need for short term capital until outstanding receivables are deposited. This short term capital can assist with expenses like payroll and making sure your account stays positive. Yet, while an advance may assist you in the short term, you may be prompted to take out an additional advance once the initial capital is used and no new receivables or growth has occurred. If you have one advance and feel that you are struggling, taking out another advance will only make things worse. If you’re having issues with your repayment, reach out to your funder immediately rather than putting yourself at risk for a default. Also, keep in mind a “default” might not mean you fail to repay your debts. If you simply miss a few payments, some funders consider this a default and this may prevent you from ever receiving future advances. What story do your bank statements tell? Many financial issues can easily be spotted when reviewing their business bank statements. Non-sufficient funds and negative ending days can really hurt your chances of obtaining an approval. Funders determine what a business can afford by assessing their cash flow, expenses, and net profits. If your account has many negative days, there is no room for a daily payment to be automatically withdrawn from your account without exacerbating your financial fragility. If your company has ongoing negative balances or negative days, funders may decline your application because you are considered a “high risk” client. Your average balances must also be relatively stable. High average balances will support larger advances.